After deciding that bridal stores needed a serious shake-up, Christy Baird founded LOHO Bride, an acronym for "league of her own." With locations in Los Angeles and San Francisco, LOHO Bride offers an experience for women who don’t identify with mainstream bridal looks. Every month, Christy will lend her expertise on high-fashion bridal designers and trends and offer a behind-the-scenes look at the latest industry news. You’ve locked in your bridal party, and we bet you nailed it. Now comes the real challenge, choosing the bridesmaid dresses. If you’re like a lot of brides, your mind goes straight to Katherine Heigl in 27 Dresses, and the next thing you know you’re in a pastel chiffon-induced panic. But deep breaths, because there’s a whole new world out there… and it looks good. Below, we’re taking you through the latest bridesmaid trends you need to know. These five wedding-day styles will ensure that everyone looks and feels their best on your big day. And trust us, if you expect them to deal with your bridal meltdowns, you’ll want to make sure they look stunning. There’s no rule that says your bridesmaids need to be in traditional floor-length gowns. And even if there was, rules are meant to be broken. 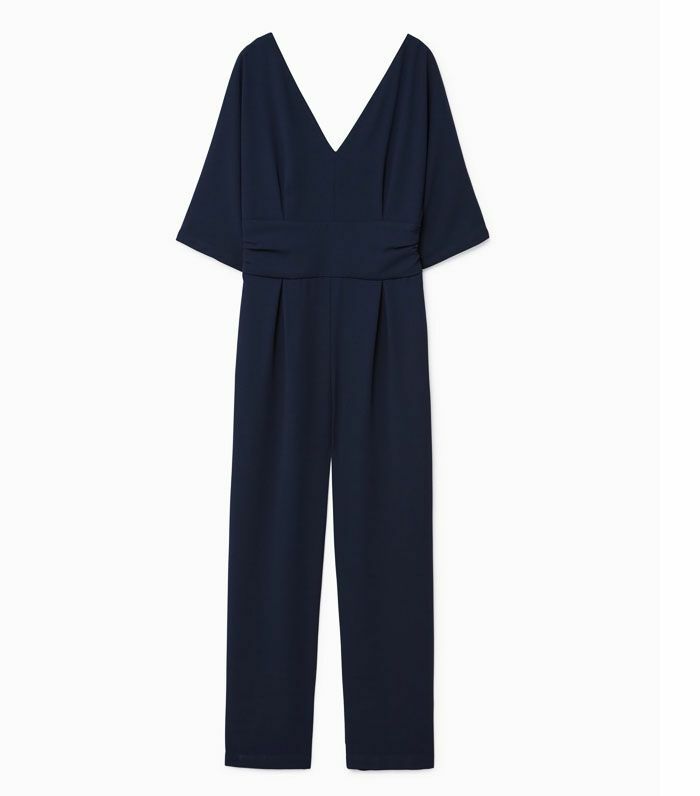 For a fresh look, opt for a stylish jumpsuit instead. It’s the perfect way to add a bit of personality without going over the top. And they’ll have no excuse not to dance at the reception. That’s a win-win. You don’t have to convince us that a statement sleeve is a style to embrace for 2017. These statement silhouettes are a great way to elevate a neutral palette without stealing your thunder. Pick a cut that flatters the entire bridal party, or let them mix and match for a more avant-garde ensemble. Less is more with this silky approach to bridal party attire. You want to ensure that your friends complement your wedding day style, and the beauty of opting for a simple slip dress is that they go with everything. Keep it sleek with a classic silhouette, or add some spice with a sneaky slit. Either way, your maids will thank you for adding a style staple to their everyday wardrobe. Is there anything better than the perfect velvet? Give your bridesmaids a lush look with this current It texture. Go for a classic wrap dress, a deep hue or a dramatic plunge—some girls prefer to show a little extra skin when wearing this luxe fabric. Whether you opt for a mix and match approach, or you prefer a more uniformed appearance, topping off your bridesmaids' style with a sleek hair clip or modern barrette is the perfect way to tie everything together. Plus, they make the perfect bridesmaid gift. Next up, what French bosses actually wear to work.